This month I would like to touch base with my toltec wisdom teachings. Many people are familiar with The Four Agreements book by Don Miguel Ruiz however there are many more tools in toltec wisdom. I am choosing to share the journey of becoming a toltec spiritual warrior. A toltec warrior seeks a spiritual life, lived in awareness of her or his connection with a power or force much greater then the human story. This path has the potential to change your entire life. The first step on this journey is freeing yourself from the conditioning of your childhood. Let go of all your past suffering and make a choice to be happy. Learn that you are in a constant dream and dreaming is the reality you create. Learning to master your own dream to create your ideal reality is an amazing journey. Open your heart to love and acceptance. The ancient toltecs did not know of atoms and electrons but what they discovered was later proved by this theory in modern science. What appears to be solid is an illusion, physical matter is open and empty. In addition they saw that the space between all small particles of matter in the physical universe is filled with light. This was an amazing discovery even our own bodies are made completely of light. This opened their eyes that there are no boundaries between our bodies and other objects, everything is filled with the same light. As we learn in science at a young age our minds and eyes distort light. When the light is reflected off an object and enters our eye it travels through channels of perception in our minds. All our lives we have been creating belief systems, collecting opinions, experiencing fears, and making agreements about how the world works. Therefore when the light reaches our mind where our virtual reality is created it’s been distorted by all the countless past agreements we have created. Therefore we are creating our own virtual reality based on stored language, memories, beliefs, assumptions, agreements, and so on. The toltecs call this distorted virtual reality the “dream.” The image our minds create is not what is really out there in our world. We are dreaming day and night. The image our minds create is our own unique virtual reality our personal dream. We have all been programmed to understand the world differently based on our own life experiences. Because we have all had different upbringings we all have our own unique paths to find and conquer. To start your own spiritual warrior journey the toltec way you must first reveal the details of your personal dream. Find the things that you personally find positive and negative, do not make anything “right or wrong” if you do this you are continuing the unconscious dream. There is no right and wrong these are deceptions we were taught along the way there is only love. Give yourself the opportunity to un-learn everything you know. We came into this world with no opinions or fears. All distorting light in your channels of perceptions were put there by others, and it is possible to clean them out. Be gentle with yourself in this process. Your new awareness will give you choices about what you choose to believe, think, and feel. There are so many tools to use for transforming your dream. I am here to assist you on your own personal unique victory in your dream to awareness and love. 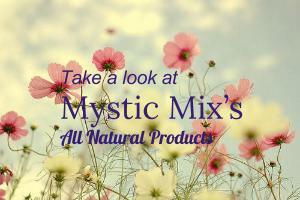 You may contact me at april@mysticmix.com or call or text at (801)803-1892.